I caught myself eating Soom tahini straight out of the carton, so I guess I’ve embraced tahini along with all of the bitterness I mentioned earlier. It is a touch bitter, but in a good way. You just have to get used to it. 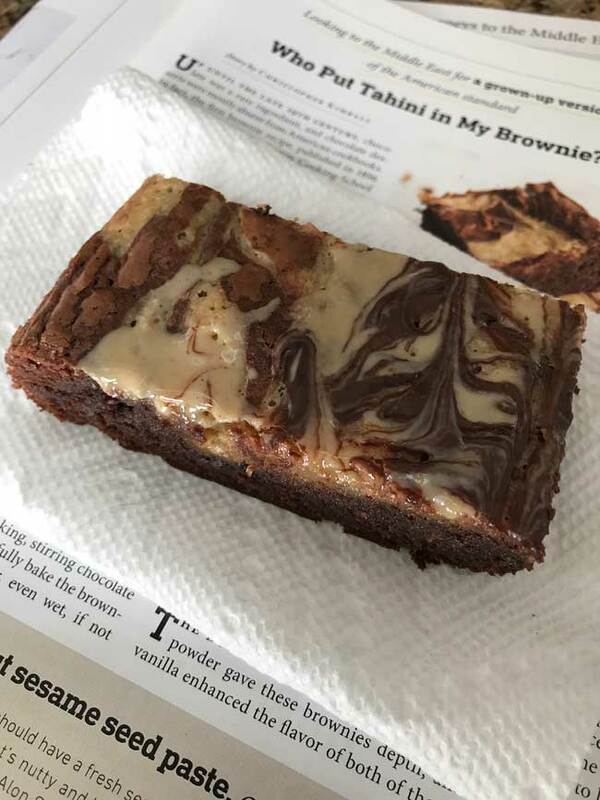 Anyhow, I figured with all the tahini in the refrigerator I might as well finally try the Milk Street Magazine Tahini Brownies recipe from Erica Bruce. I followed the recipe pretty much to the letter except for one thing. 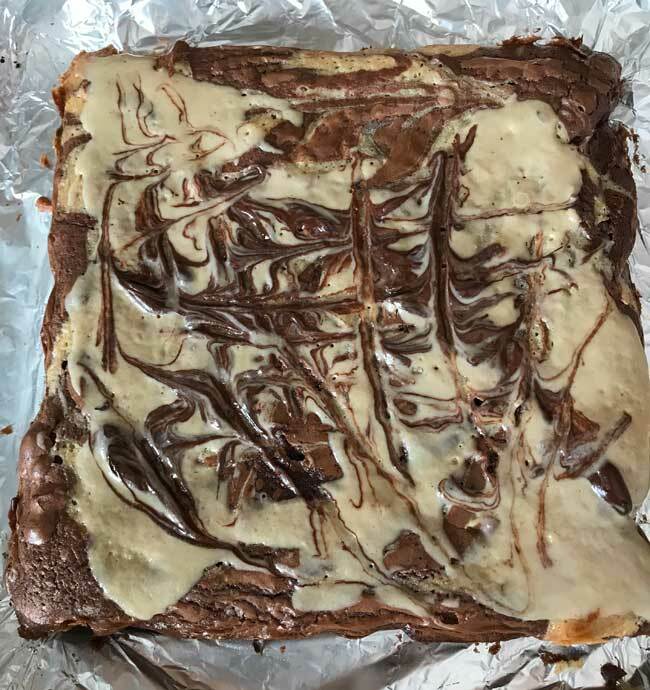 After the brownies came out of the oven I spooned a little more tahini over the top, following the pattern of the baked-in tahini batter. 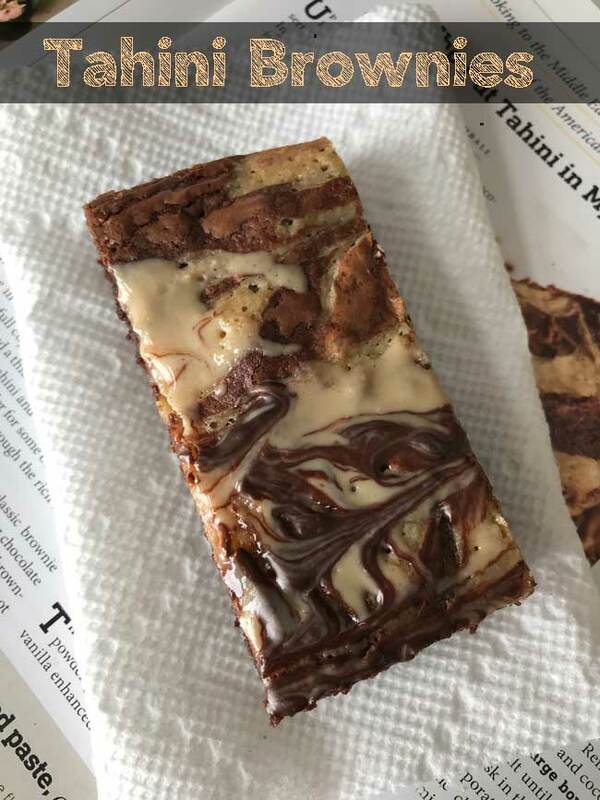 I also sprinkled on a few chocolate chips, let them melt into the warm tahini, then did another swirl. The hardest part about making tahini brownies was waiting for them to cool completely. Thankfully I had some other desserts around and was able to wait a full 24 hours before cutting these. They are fabulous! The tahini is most definitely different, but very pleasant. 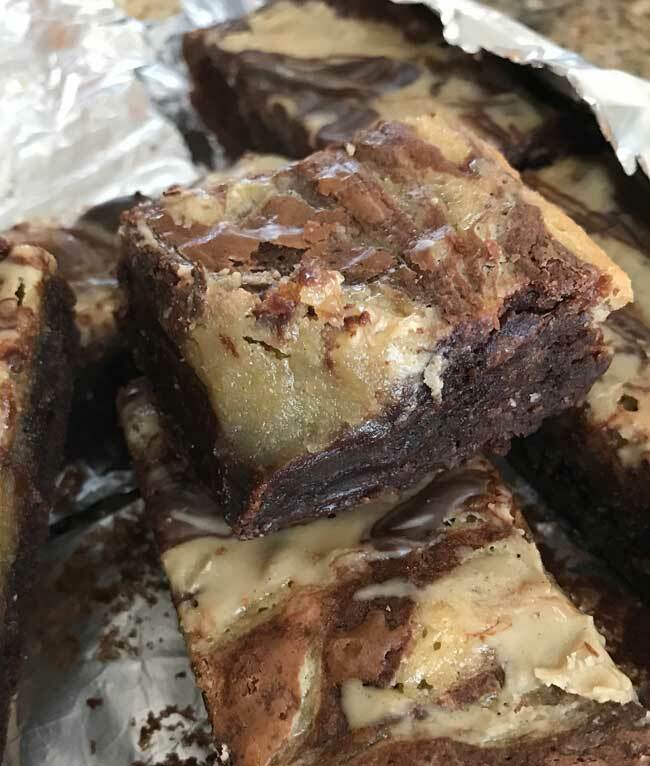 The flavor of the tahini batter swirled on top is good, but the tahini that is mixed in with the batter also helps give these brownies a very good soft but firm texture. Since I didn’t change much other than swirling on more Tahini, here’s a link to the recipe. You can also find it on Milk Street if you subscribe. I’m guilty of eating it right out of the jar too! Two other ways I enjoy it: mixed with maple syrup, cinnamon & a little salt – I also use it to make salad dressing: adding lemon juice, garlic, salt & ginger – SO good! I’m curious to see how these compare to the Splendid Table version.